Instructions: Carefully view these two photos then guess the GROSS score for this buck. To be fair, we are giving you the spread which is 16 3/8 ". This buck is dead and has been scored by an official measurer. 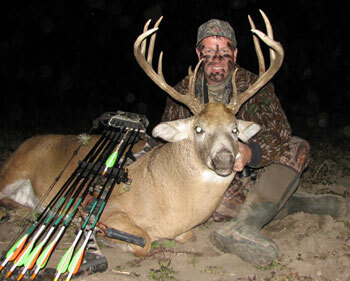 The closest person (down to the eighth) will win a fully outfitted Kansas Deer bowhunt with K&K Outfitters of Kansas for this October, 2009. 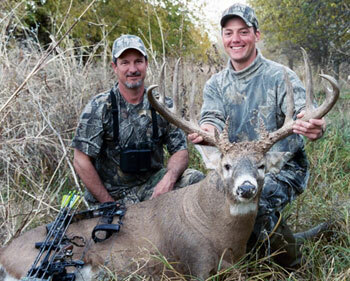 Win a Kansas Bowhunt with K&K Outfitters! 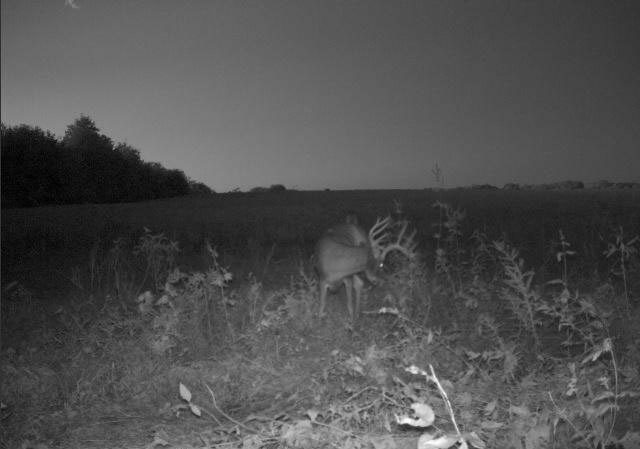 The winner of this Hunt will enjoy a quality bowhunt with K&K Outfitters of Kansas for a trophy whitetail. Note: K&K has a minimum penalty fee of $800 for bucks taken under 130. We have 2 people who guessed it down to the eighth. After verification the winning name will be drawn from a hat next week at the MHH Hog hunt. 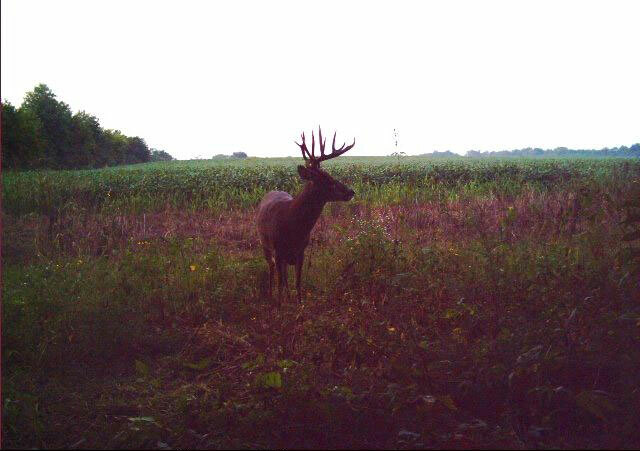 The buck was aged at 3 years old. Body weight was around 175 lbs. It was a very small bodied deer. *Email and Phone Number for verification purposes only and will be deleted after the winner is announced. We will not use or give this information to any 3rd party for any reason. No relatives, employees, or anyone associated with K&K Outfitters, or Bowsite.com can participate in this contest. This also includes anyone involved in the hunt where this deer may have been killed, or anyone with prior knowledge of this buck's measurement. Winner is responsible for tags, transportation, tips and any incidentals associated with this offer. This offer is only available per the terms of the hunt noted above. No substitutions or alternate arrangements can be made without the express consent of K&K Outfitters. You must use your Full Name, Email Address, and Phone Number for validation purposes. Any duplicate email address, name or phone numbers found after the winner is identified will result in disqualification. We will then draw the next closest score. 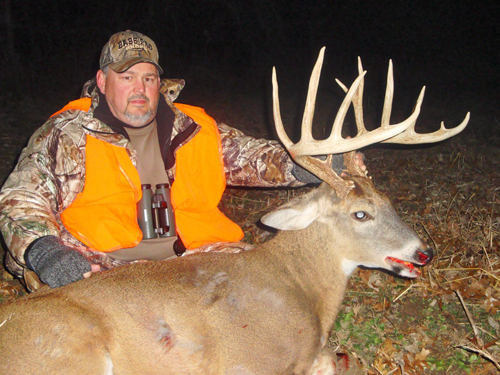 This bowhunt is offered by K&K Outfitters only. By submitting your guess you hold K&K Outfitters and Bowsite.com harmless for any error, omission, injury or death resulting from this contest or hunt.